Happy Thanksgiving for all on Earth! All praise is Yours, all glory, honor and blessings. no mortal lips are worthy to pronounce Your Name. who is the day through whom You give us light. 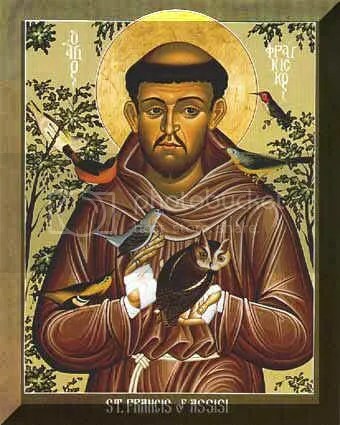 of You Most High, he bears your likeness. in the heavens you have made them bright, precious and fair. by which You cherish all that You have made. so useful, humble, precious and pure. through whom You light the night. He is beautiful, playful, robust, and strong. with her fruits, colored flowers, and herbs. for love of You bear sickness and trial. by You Most High, they will be crowned. from whom no-one living can escape. Woe to those who die in their sins! Blessed are those that She finds doing Your Will. No second death can do them harm. and serve You in all humility. When we finally reached the caves, which are located not too far from Albany, it was absolutely frigid. The cold wind did not help. We quickly gathered up our gear and headed to the cave. The entrance is just a hole in the ground, but as we stood over it, a gust of warm air hit us. Fortunately, inside the cave, it was around 55 degrees. The rocks were very slick and there was water everywhere. Often, we had to go through some tight squeezes in order to reach the next cavern. At the end of the long passage we came upon an underground lake, which probably had a depth of approximately 8 feet. On our way back, we began to notice things which we had missed on our first go. Ephemeral rock formations, plants, and animals were spotted with surprising frequency. When we came out, we were soaked, but happy. I was less so when my pants and shoe laces froze solid. 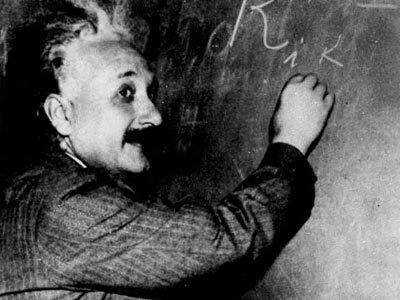 Einstein’s theory of relativity, E=mc^2, is probably his most famous scientific work. The formula, published in 1905, relates energy of a particle to its mass. Namely, the formula states that a particle’s energy is equal to its mass times the speed of light (3×10^8 m/s) squared. Thus, energy can be converted into mass and mass into energy. According to the messed-up world of particle physics, protons and neutrons comprise smaller particles known as quarks, which in turn are bound by gluons. These are all different subatomic particles. But something strange came up when scientists were calculating the masses of these particles. The mass of gluons is zero and the mass of quarks is 171,200 MeV/c2. This is infinitesimally small. So where is the rest of the mass, as the mass of protons and neutrons is approximately 1 atomic mass unit (amu), or 1.660538782(83)×10−27 kg. Where is the rest of the mass? As Einstein predicted, the rest of this missing mass is balanced out by the energy of the movements and interactions between quarks and gluons. This formula may be used to produce atomic weapons (releasing large amounts of energy from a small particle), but it has also given us new insights into the world of physics and our very being. Tomorrow, I will post about the Clarksville Cave trip. I will be heading to the Clarksville Cave tomorrow, so I will be sure to take some photos and post them on Sunday maybe. For now, however, I will just tell you about the cave itself. Managed by the Northeastern Cave Conservancy, Clarksville cave is probably the best known cave in the Northeastern United States. It is located in Albany County, NY. The cave has 4800 feet of passages littered with squeezes and interesting rock formations. One can enter the cave through three entrances. If you do come, you will need 3 sources of light, including a headlamp. It is also important to dress warmly, but don’t wear anything you will be afraid to dirty. We all know what Breathalyzers are, but few people know how they actually work. 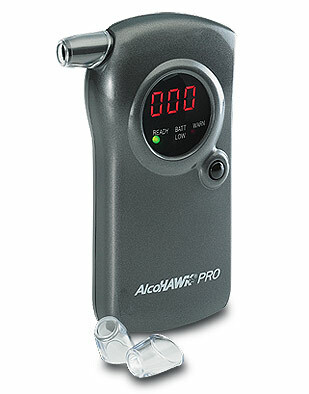 A Breathalyzer analyzes a suspect’s breath sample to determine his or her % BAC, or blood alcohol content. The machine is a photometric color comparator that analyzes a 52.5 mL breath sample. Each compound has its own specific geometry. When a specific wavelength of light is passed through the sample, the instrument will measure how much light is transmitted through the compounds and how much is absorbed. This correlates directly to which compound is present and how much of it is in the sample. Ethanol, the substance measured by the Breathalyzer, is analyzed well at 440 nanometers. By using the balanced chemical equation involving the breakdown of ethyl alcohol (ethanol) and some other nifty formulas, we can obtain important figures, including the amount of alcohol in a suspect’s bloodstream, BAC, and the number of drinks he or she had and how long ago they had them. This is clearly important when it comes to catching dangerous drunk drivers. Just a public service announcement: if you have a BAC of over .08 (around 3 beers for a man), do not drive. By doing this, you may save your or another’s life. I was planning to go to the Ice Caves in the Catskills this weekend, but that will not pan out. The weather is supposed to be terrible, so being wet and cold in the ice caves does not really sound like fun. Sorry. Trust me, no one is more disappointed than myself. I was going to post pictures later, but now, I guess not so much. This post day is supposed to be devoted to history, paleontology, anthropology, and archeology. But I have to put that to the side today. I haven’t been posting for a while, so this is one that I must make. Few events have transpired during our lifetime will be in the 7th grade history book. American studies, probably more-so, but few events occurred that just screamed world-changing moments. Well one of those moments has taken place. The United States of America has elected an African American to the presidency. I am flabbergasted … speechless… overwhelmed…joyful and hopeful. Our nation still has deep rooted racial tension. Just look at all the racial overtones to this past election, but we have pushed through many of them. Racism is alive and well today, but I am happy to say that the days are gone when nobody could imagine an African American president. We have evolved. From a nation full of slaves, to a nation of non-voting “free” African American, to a country where African Americans were allowed to vote without a poll tax or literacy test, finally to a country which elected an African American president. One who is intelligent, just, and a wonderful human being. We have come a long way from the days of Martin Luther King Jr. and Malcolm X (God bless their souls). This is truly historic. The Feather and the Flower!